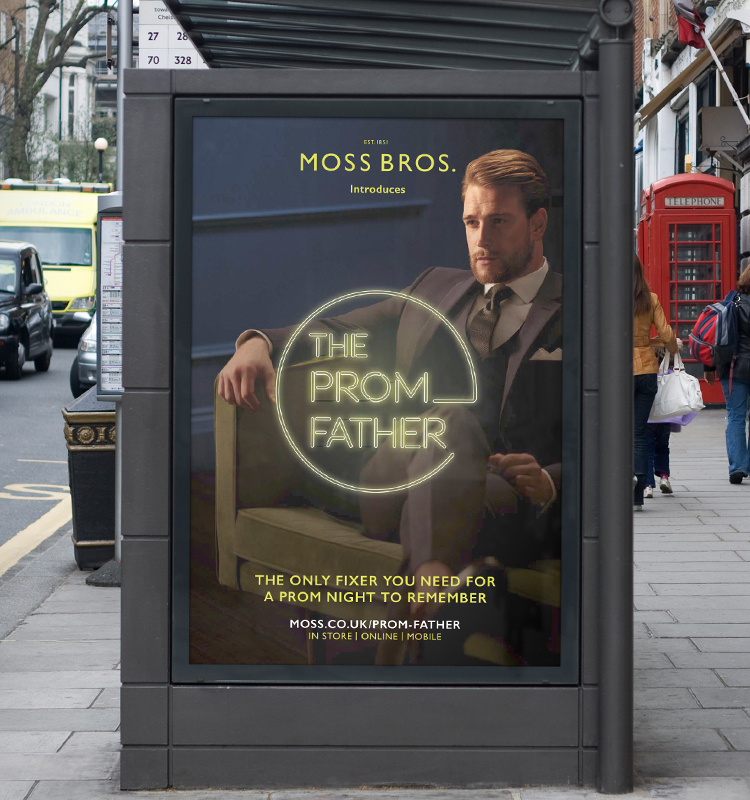 Moss Bros. came to us with a very specific brief: reach the 16-18 year old Prom customer, give the brand a new personality and build a customer for life. To tap into this market, we created a Whatsapp group of ten 16- to 18-year-old boys living in Central England, and used them as their ‘expert’ panel. We started with the assumption that boys going to prom – for whom buying a suit will probably be a first-time experience – would not want to go shopping with their parents. What we found instead was that nine out of ten boys want to shop for their first suit with their parents because it is not only a specialist but also a scary purchase. 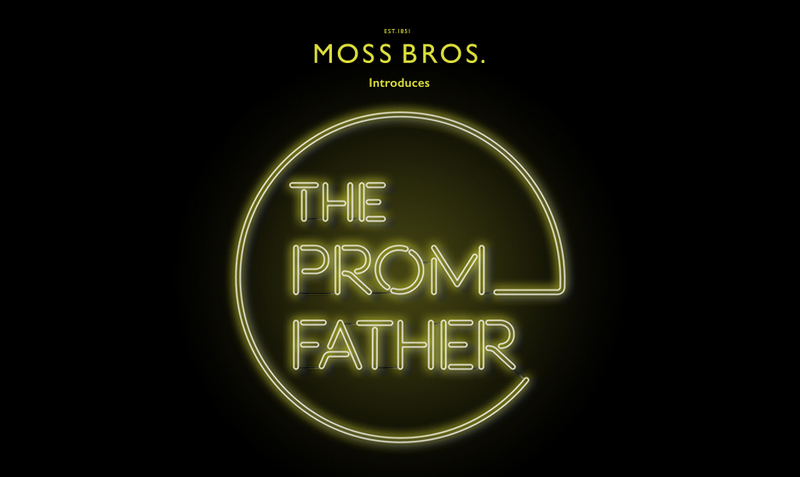 This insight is what led to the character and nature of the 'Prom Father' — someone wise enough with an expert’s eye about what to wear for a night out. We developed a through the line marketing campaign that also included a competition offering a free chauffeur-driven ride in a Rolls-Royce to young boys making an entrance at the school gates in great style.